John 14:1-3 AMP DO NOT let your hearts be troubled (distressed, agitated). 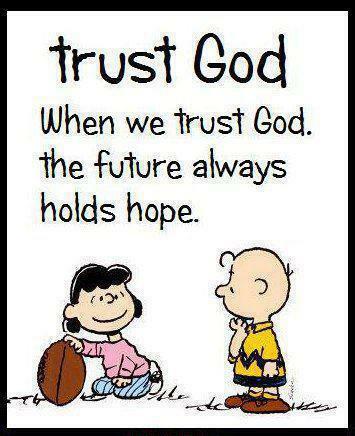 You believe in and adhere to and trust in and rely on God; believe in and adhere to and trust in and rely also on Me. In My Father’s house there are many dwelling places (homes). If it were not so, I would have told you; for I am going away to prepare a place for you. And when (if) I go and make ready a place for you, I will come back again and will take you to Myself, that where I am you may be also. Still Trusting-And For So Much More Now! A very good passage and excellent assessment for today! Many including myself woke up not even wanting to get out from under the covers and face this New America. Our country will change greatly, and there’s already evidence of that since you wrote this a week ago.We must remember God’s in charge. Although He may have given us the government we deserve according to how little attention people paid to His Word when in the voting booth (or not voting at all, which is a shame), He is working toward the completion of His Kingdom. A very encouraging and appropriate post for the day after the election. Many of us didn’t even want to get out from under the covers this morning and face this New America. There will be grave changes, as already evidenced in some things since you wrote this 7 days ago. I was weeping for America because of the people, even Christians, who paid no attention to God’s Word while in the voting booth, or who didn’t vote at all because there wasn’t a “perfect” candidate. However, although God may give us the government we deserve, He will use it toward the completion of His Kingdom. Sheryl, I do believe that God is going to use this to usher in those times. I urge those who know to be prepared, look up, but look around also as there maybe persecution before we leave this earth.people should be collecting water and canned food..most importantly share Jesus with everyone.